Trouble with your refrigerator or freezer can be a huge headache. The catastrophe of lost food and time resulting from failed refrigeration can be really harmful to a foodservice operation. 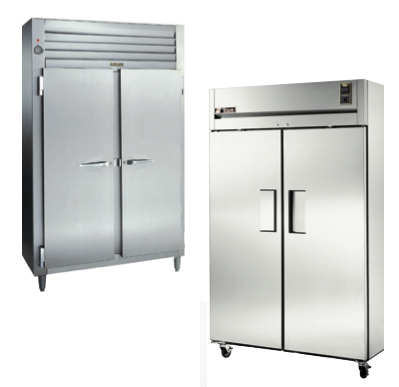 This foodservice nightmare can be avoided with simple, routine refrigeration maintenance. Many service calls for refrigerators and freezers have shown the cause is a dirty condenser coil as the probable cause for the problem. Condensing unit on refrigerator or freezer runs for prolonged period or continuously. This is a problem that will surely spike your energy bills. Refrigerator or freezer cabinet temperature is too high. This could result in serious food waste and/or food safety issues. Refrigerator or freezer compressor will not start. It hums and trips on overload protector. This is slowly reducing the lifespan of the unit. Routine maintenance on your refrigerator and freezer can prevent the aggravations mentioned above, provide significant energy savings and prolong the life of your valuable equipment. It may seem like a lot of extra work in an already busy schedule. But, it’s a lot easier than it appears, and the alternative is too costly to ignore. It’s a good idea for staff in any operation to know the importance of equipment maintenance so they can keep an eye out for any potential issues. Operators should ensure that staff are designated to perform the preventative maintenance procedures and checks. Refrigerator and freezer condensers should be cleaned monthly. Below are three easy steps to cleaning a condenser. Disconnect the electrical power to the unit. Vacuum or brush the dirt, lint and paper from the finned condenser coil. If you have significant dirt build up you can blow out the unit with compressed air.